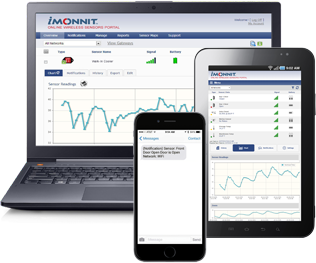 Commercial Property Management and Monitoring | Monnit Corp.
inside, even when you are not there! Wouldn't it be great to know what's going on with your properties before small issues become big, expensive problems? In can be very expensive to monitor and manage commercial properties efficiently and affordably. Monnit wireless sensors make it easy to keep your properties in great condition by providing a simple, affordable remote monitoring solutions for any building asset. 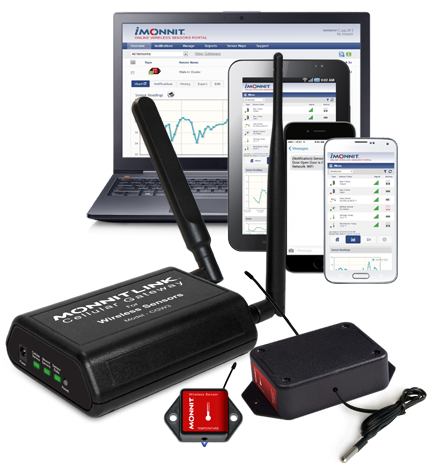 Receive real time alerts before small issues turn into big, expensive problems. Automated system tracks your property for you. Stop wasting time and money doing it yourself! There is nothing more valuable than your reputation – make sure it's protected. Monitor your store 24/7 via the internet. Android and iOS apps are available, free of charge. » Enhance security by tracking movement in open spaces, walkways, etc.